This coming week Apple will properly launch iCloud - and, when they do, over 200 million people (and climbing fast) and the devices plumber into their hands will suddenly become aware of what the cloud is. Or, perhaps more accurately, they will associate the cloud with Apple and what Apple's cloud does. Up until this point any ad featuring a pitch for cloud has used "soft and fluffy" (obviously) imagery, such as the one below (from Microsoft - but I could have picked imagery from any of a dozen or more major vendors). It's been interesting, I think, to see an IT solution get associated with sunny days, blue skies and a sense of uplifting vision - that didn't happen for object oriented programming, open source code, relational databases or even utility computing. And that might have been fine when no one had stepped forward to say, actually, "this is what I mean when I say 'cloud'." Indeed, I've occasionally used slides in the last couple of years with pictures like the one below and the sub-heading "99% vapour, 1% grit that gets in your eye." iCloud, along with Amazon's equivalent services for the Kindle range, will define cloud just as Apple defined what a smart phone was with the iPhone and what a tablet is with the iPad (let alone music players, laptops and whatever else). iCloud will be myCloud. For the first time, for hundreds of millions of people who have stared at the posters along the Interstate or the M4 wondering what on earth the IT world is going on about, cloud will mean something. They will be given a way of having everything in sync, all the time, on all devices. Where "everything" is contacts, mail, calendars, game state, videos, music and so on. It will also give them something that apparently costs nothing (only a few users with very large storage needs will end up paying), further complicating the job of those who want to make money from clouds. And that will be what cloud means. My guess is that others wishing to use the word "cloud" are going to have a battle on their hands to differentiate their cloud from the Two A's Clouds. "Cloud Computing", which has always been hard to define, will mean something else - and so the marketing people will work overtime to create differentiated brands that try, in 2 or 3 words, to mark out what their particular cloud does. 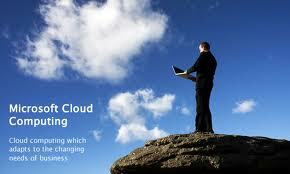 As a result "Cloud Computing" will become a redundant term and imagery will shift away from the kind shown above. That can only be a good thing - it should result in less effort being expended on cloud as some kind of nirvana and more on what a business can do with it. Sure iCould is a good thing, I use it for some time now. The only problem I have, every company is wanting to copy each other, without adding any additional features, especially the smaller companies. They get annihilated quickly, so only the big boys stay in the game.